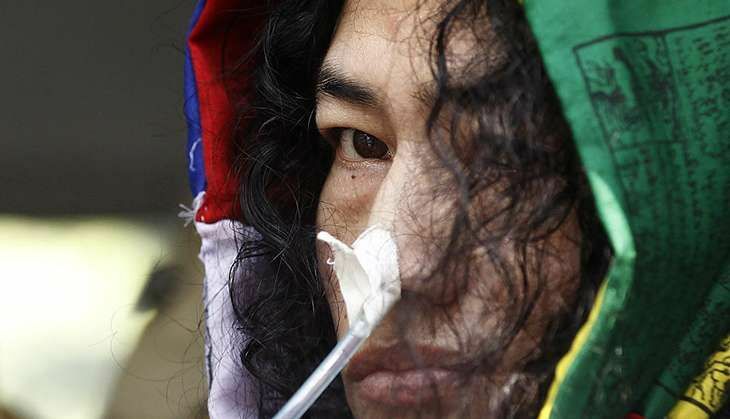 Irom Sharmila ends 16-year hunger strike. But why are Manipur's radicals opposing her decision? The \'Iron Lady\' of Manipur has finally ended her 16-year-long hunger strike. Irom Sharmila, who began her fast on 2 November 2000, finally broke it on Tuesday, 9 August. Over the last 16 years, Sharmila became a household name throughout the country, and the face of the movement opposing the draconian Armed Forces Special Powers Act (AFSPA). Thousands have been killed since AFSPA was imposed in Manipur in 1958 and, recently, 1,528 cases of extra judicial killings were submitted to the Supreme Court by the Extra Judicial Executive Victims Families Association. For these 16 years, Sharmila has been confined to a small hospital room, not even allowed to talk to her friends and comrades, who have stood in solidarity with her for all these years. Fed up with the attitude of the Central government, which paid no heed to her struggle, Sharmila decided that it was time she chose to live the life of a normal human being. Even the public support for her steadfast cause has seen a drastic drop in the last few years, forcing her to take this bold step. Yet, she remains firm on her decision to carry on the fight through democratic means. On 26 July 2016, she created a furore when she told a court that she would give up her fast on 9 August, and contest as an independent candidate in the 2017 Assembly elections. She has promised to raise the AFSPA issue in her poll campaign, and try to attract the government's attention to the atrocities committed under its protection. Sharmila also claims that those who were meant to 'support' her in the struggle are more concerned with her personal life than to strengthen the fight against AFSPA. Stressing on the fact that she wants AFSPA gone during her lifetime, she had also told the media that she plans to marry her Goan-born British fiance Desmond Coutinho, a non-Manipuri. Her decision to contest elections and marry have not gone down well with activists and even her family, who have asked her to rethink. Two banned insurgent groups, Kanglei Yawol Kanna Lup and Kangleipak Communist Party, have also asked Sharmila to not give up her fast, and have even threatened to kill her if she marries or joins politics. The Alliance for Socialist Unity, Kangleipak (ASUK), was one of the first Manipur-based organisations to raise objections against Sharmila contesting polls. It issued veiled threats against activists joining politics to contest elections. In a statement, jointly signed by chairman N Oken and vice-chairman Ksh Laba Meitei, ASUK claimed that former activists who joined mainstream politics were assassinated after they turned their backs on the revolutionary movement. The statement read: "All those who joined electoral politics did so knowing well that it was a dead-end." ASUK even appealed to Sharmila to not degrade her status by choosing politics over the revolutionary struggle. Her decision has unnerved many in Manipur, who see her as a symbol of resistance. When 44-year-old Sharmila announced her decision, even the activists closely associated with her were shocked to hear about what they called a 'unilateral decision'. According to them, she should have consulted them before making the announcement. "We have been associated with her for so long and she didn't even feel the need to confide in us. We were shocked and surprised at her decision," said a person closely associated with her. They smell a conspiracy, and believe that the decision wasn't hers alone. They claim she has been influenced by outsiders, who wanted her to give up the cause of an AFSPA-free Manipur. However, others claim that these activists have vested interests, and had only been relevant because of Sharmila's 16-year-long struggle. With Sharmila deciding to give up her fast, they are unnerved by the prospect of becoming irrelevant. Sharmila has also expressed her desire to marry Coutinho, who Manipuris see as an outsider and possibly the reason behind her decision. "Even though the man is an NRI, he is still an Indian in the eyes of the people of Kangleipak (core of Manipur)," read the ASUK statement. The groups which have issued threats to Sharmila do not rule out the possibility of Desmond Coutinho being an Indian agent working towards weakening the ongoing mass movements, especially the Inner Line Permit issue. Even Sharmila had raised her objections on fielding college students for the permit issue. Radicals believe the increasing number of interracial marriages have weakened the ongoing movement for the protection of the rights of the indigenous communities. They believe Sharmila will set a precedent that would be hard to reverse. Her marriage would also mean the loss of a star who single-handedly managed to get everyone's attention on to the AFSPA issue. The radicals also believe her withdrawal could weaken the movement and lead to a loss of attention from international agencies. ASUK said: "When there is no people's movement against AFSPA in Manipur .... neither the UN nor any other country would do anything for our people." These groups believe Sharmila's long-drawn struggle will eventually get the attention of the international agencies, which might force the Indian state to withdraw AFSPA. While the radicals might be unnerved by Sharmila ending her fast, activists who have worked with her for long claim it is her decision which should be respected. "It was she who sat on the fast, and now she realises it is going nowhere. Why should these groups threaten her? Their representatives should now continue with the fast. Why is it only Sharmila's responsibility to fight for the removal of AFSPA. After all, neither the Centre nor the state government has paid any heed to her long struggle," says activist Harsh Dobhal. TWEET THIS Fed up of struggle, Irom Sharmila wants to live a normal life. But many Manipuris don't want her to Irom Sharmila ends 16-year hunger strike. But why are Manipur's radicals opposing her decision?